We’ve already started to get pre-orders for Fresh Balsam wreaths!! The most magical <and busiest> season is almost upon us! 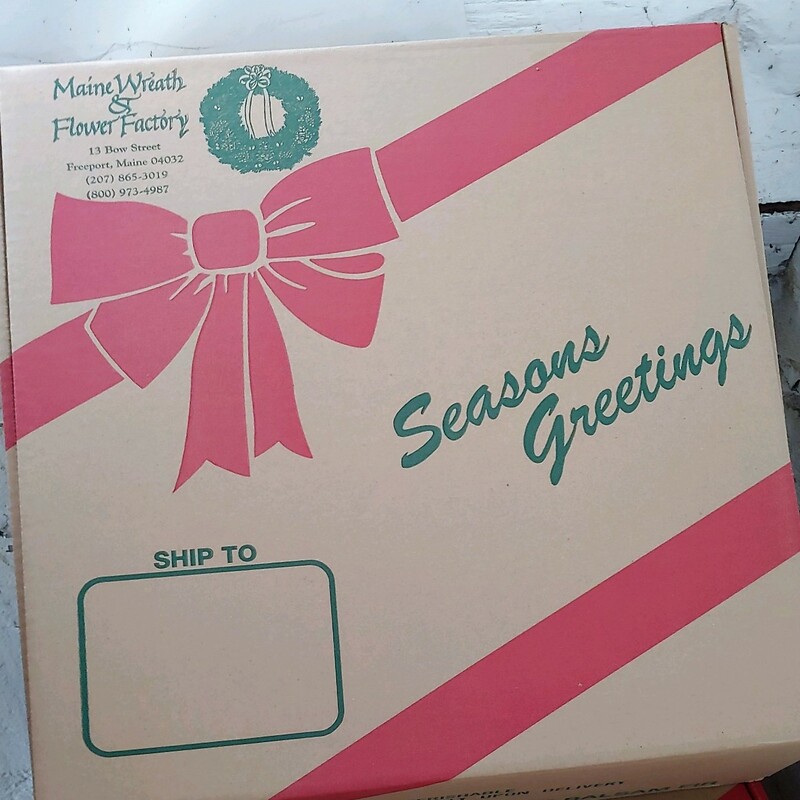 Fresh Maine Wreaths, Door Swags and Centerpieces are a unique and beautiful way to send loved ones wishes for a Merry Christmas and Happy Holiday Season! Included with your purchase is free shipping and a gift note! You can place your orders whenever you would like but please realize, unless otherwise requested, Fresh Balsam Wreaths and Balsam Door Swags will begin to ship the week AFTER Thanksgiving, starting Monday, 11/26/2018.<You will receive notification once your order ships> . To ensure freshness, our Balsam Centerpieces will begin to ship the week of December 10th. These centerpieces are perfect for your holiday table OR to gift to a host. They will surely be enjoyed during this beautiful holiday and Christmas season! If you have any questions, please feel free to e-mail Shop@mainewreath.com. In the meantime, get those Fall wreaths, mailbox covers and flags ordered in time for Halloween and Thanksgiving!